Florida Football: Does Sharrif Floyd's Adoption by Benefactor Pass Smell Test? With high school players being marketed by third-party representatives, guarding against student athletes receiving illegal benefits and deciding on which social media outlets are proper to use at what times of the year, the NCAA certainly has its hands full these days. We can now add another issue to the agenda. Rachel George of USA Today reported on Tuesday that Florida defensive lineman Sharrif Floyd receives benefits that would normally be impermissible by NCAA rules from a businessman who legally adopted him. Kevin Lahn, a businessman who provided impermissible benefits to Floyd last season that triggered a two-game suspension, became Floyd's adoptive father after the suspension. The move allows Lahn the ability to provide for Floyd, which so far has included an SUV, a credit card and a trip to Disney World, according to the report. Is this the story of a family persevering or an exploitation of an NCAA loophole? It's hard to judge what's in someone's heart, but even if the adoption is from the heart, it's clearly both. The NCAA—wisely—told George that it addresses issues of adoption on a case-by-case basis. Considering the emotional attachment that theoretically could be present, that's the right approach. Considering Lahn was disassociated by the University of South Carolina—his alma mater—for making impermissible inducements to recruits through the Student Athlete Mentoring Foundation, the skepticism surrounding the story is certainly justified. Lahn certainly doesn't help himself by essentially admitting that he is drawn to elite athletes. "None of my family members are good athletes, me included," Lahn said, "so with my genes I would never have the opportunity to give birth to kids who play football or basketball in college at such a high level." That, along with the fact that Lahn has provided impermissible benefits in the past and been disassociated from an SEC school as a result, raises red flags all over the place. However, the situation passes the smell test because it already has. 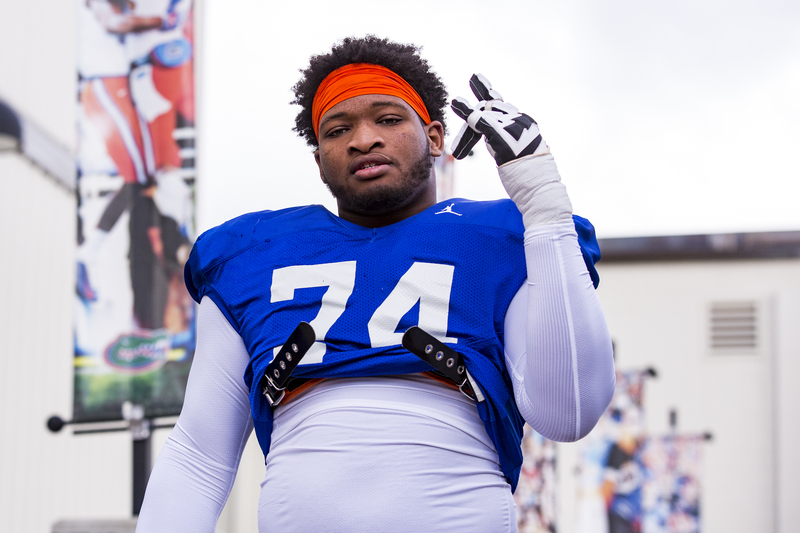 Lahn and Floyd were forthcoming with Florida's compliance office during the adoption process and after, when Lahn hosted a birthday party on a rented yacht for Floyd and several friends, some of whom are part of the Gator football program. Questionable? Yes. You don't run party plans by the compliance department unless there's at least a little doubt. Florida isn't going to jeopardize its season by playing a potentially ineligible player who already has been suspended by the NCAA unless it feels comfortable with the situation. Because of that, we have to take Lahn and Floyd at their word unless there's a reason not to.